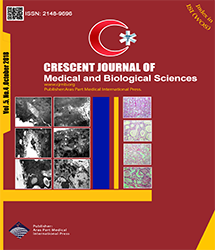 Crescent Journal of Medical and Biological Sciences (CJMB) is an open access, peer-reviewed international journal that provides rapid publication of articles in all fields of medical and biological sciences on the basis of its originality, importance, interdisciplinary interest, timeliness, accessibility, elegance and surprising conclusions. All submissions to the CJMB undergo a fair, supportive and completely blind peer-review process and our acceptance rate is about 38%. CJMB is published 4 times per year in January, April, July, October in English. 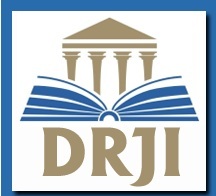 CJMB has been approved by Iranian Ministry of Health and Medical Education Journals Commission http://journals.research.ac.ir/. CJMB supports the Open Access initiative. Abstracts and full texts (PDF format) of all articles published by CJMB are freely accessible to everyone immediately upon publication. This journal is licensed under a Creative Commons Attribution License. We are following the Uniform Requirements for Manuscripts Submitted to Biomedical Journals, issued byInternational Committee for Medical Journal Editors (ICMJE), as well as the Committee on Publication Ethics (COPE) code of conduct for editors. The Editor-in-Chief of CJMB is a member of the World Association of Medical Editors (WAME),European Association of Science Editors (EASE) and Asian Council of Science Editors (ACSE).